By Sheth Developers Pvt. Ltd.
How Far is Sheth Vasant Lawns? 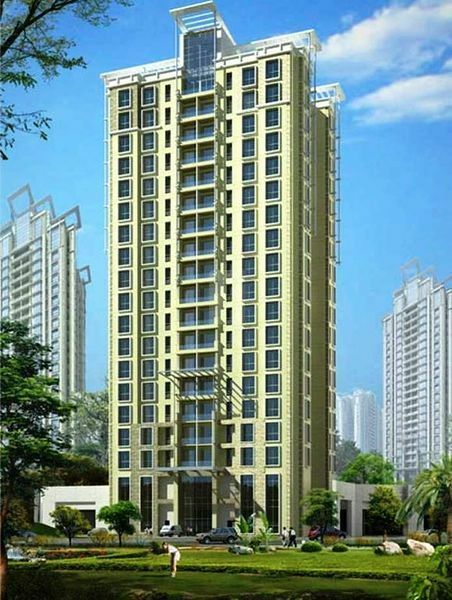 Sheth Vasant Lawns is one of the popular residential developments in Thane West, neighborhood of Thane. It is among the completed projects of its Builder. It has lavish yet thoughtfully designed residences. Flooring: Vitrified Tiles. Dado: Vitrified Tiles / Ceramic Tiles. Counter: Granite Counter. C. P. Fittings: Premium Quality fitting. Sanitary Ware: Premium Quality fitting. Doors: 8'0" high waterproof flush door with water cut paint finish. Ceiling: Gypsum / POP Plaster with Luster paint finish. Flooring: Dark Grey Vitrified Tiles. Platform: Granite or Korean / Nirali Sink / Equivalent Brand. Dado (Full Height): Granite or Korean / Nirali Sink / Equivalent Brand. High Speed reputed brand automatic elevators. About Sheth Developers Pvt. Ltd.
Sheth Developers Pvt. Ltd. Started its journey in the year 1986, A well-known name in the realty industry initiated by Ashwin Sheth, because of the unique design, contemporary thinking Sheth Developers has got a unique name in the in industry. Since from the inception Seth developers have created well-known landmarks through thoughtful planning unwavering focus on quality and customer-oriented designs. 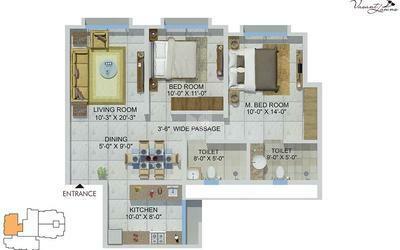 Sheth Zuri is a great example of Sheth Developers, the project is situated in Thane and offers 1BHK,2BHK,3BHK flats. Sheth Developers has experience in executing commercial/IT, residential, retail and in township project and have footprints in India and abroad. Each project of Sheth Developers is according to the expectation of the current generation. Got many awards because of the wonderful work Sheth Developers has done and continuing it. Flexibility and adaptability are the cornerstones of the Sheth Developers.incorporate technology and expertise at an international level with an objective to improve life locally. always in search of potential in future.reach out to modernity and sophistication, that's ahead of time but being a principle-based organization, we closely adhere to our age-old values. Sheth Developers has created many landmarks some of them are Sheth Vasant Fiona, Sheth Vasant Lawns 2, Sheth Vasant Lawns and more.